This year the ELRIGfr meeting will take place in Lyon, at the famous “Ecole Normale Supérieure“. We will be present to explain our work on neuroprotection and cytotoxicity assays in 2D and 3D culture. Of course we will be happy to meet you if you want ! As you can see below, the program is loaded. 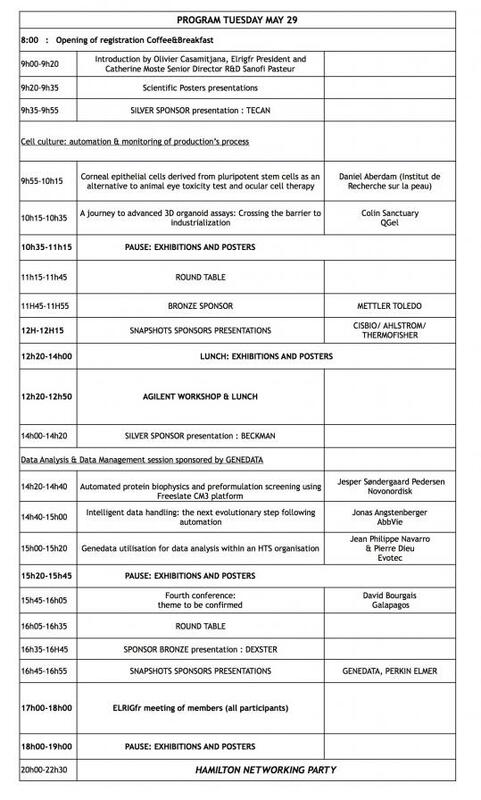 We will be particularly interested in “3D cell culture” discussions and keynotes about data management.